Shrek is one of those films that everyone knows and loves. Full of fairy tales, fun and a loveable ogre. One that even the film has everyone tapping their toes and dancing in their seats. I remember seeing the film and absolutely loving it from the moment I first watched it. It's one that Max has watched countless times, and I'm so glad it's on Netflix now, or the DVD would have probably broken under the sheer weight of repeat watches! It's also been a musical for a decade now and has been on my wish list for about the same length of time. Now with a brand new cast, direction from Nigel Harman and a few show tweaks along the way, it's finally making it's way back around the UK for everyone to watch and love again. The Shrek the Musical UK Tour finally hit Southampton and the Mayflower Theatre invited me and Max to see if we were believers of this fab show. Based on the hit show that everyone knows and loves, Shrek starts off as any fairy tale would. With a once upon a time. A magical storybook opens and introduces you to Shrek, who at seven is told to leave home and go and find his own place in the land. Settling on a swamp where he relishes in his privacy, we are introduced to the main man himself (played by Steffan Harri). As we all know, his peace and quiet is short lived when Lord Farquaad (Samuel Holmes) banishes all the other fairy tale characters to Shrek's own piece of land for the town of Duloc. Determined to find his own solitude again, Shrek promises Farquaad that he will rescue Princess Fiona (Laura Main) from the dragon protected tower in return for his land back. With Donkey (Marcus Ayton) in tow, things don't go to plan. 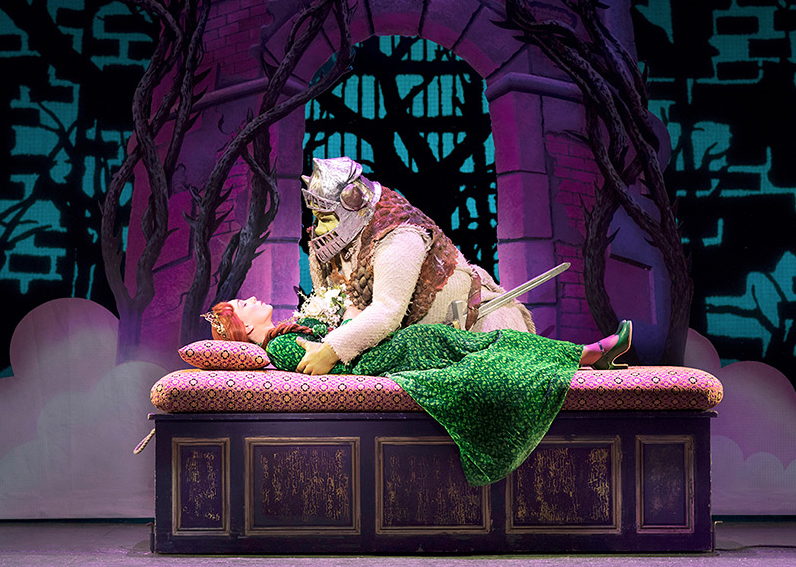 But can Shrek return the princess to her prince and have his happily ever after? I have to say that I was blown away by the show. I had gone into the theatre with high expectations, but never expected to love it more and more as the evening went on. With everything from big show stopping numbers, to brilliant acting and one liners that had everyone in the audience laughing. Max was particularly fond of the toilet humour, especially in the song "I Think I Got You Beat" where a farting and burping competition ensues. To say he was in hysterics was an understatement! I absolutely adored all of the references to other musicals, from flying the flag akin to Les Miserables, to defying gravity at the top of the tower. It felt like the perfect musical to parody and pay homage to all of the others. And dare I say it, maybe one of the only ones to get away with it so well! I was also impressed with all of the aspects of the film that were kept in the musical. From the song "Believer" to the Gingerbread Man interrogation scene. It was honestly a perfect adaptation that didn't stray too far away from the original but gave you a fresh twist. 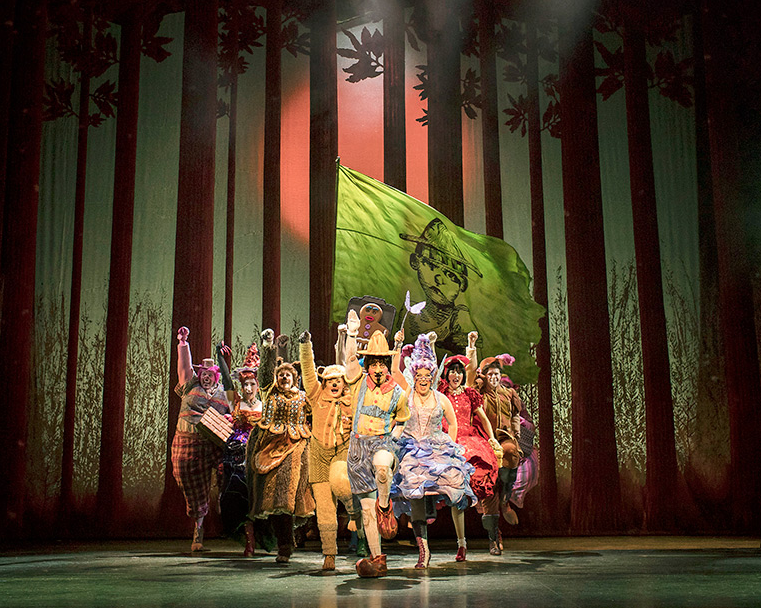 Taking centre stage was Steffan Harri as the loveable green ogre and honestly I couldn't have cast anyone better. He really made the role his own and Max was in awe of how he commanded the stage. Laura Main was fantastic as Princess Fiona and Max is still baffled by how she transformed into an ogre queen on stage in front of his eyes. They worked so well together and honestly it was magical watching their chemistry flourish on stage. I absolutely adored Marcus Ayton as Donkey, full of sass and energy. He made me laugh the whole way through the show and honestly was perfectly cast for the role. 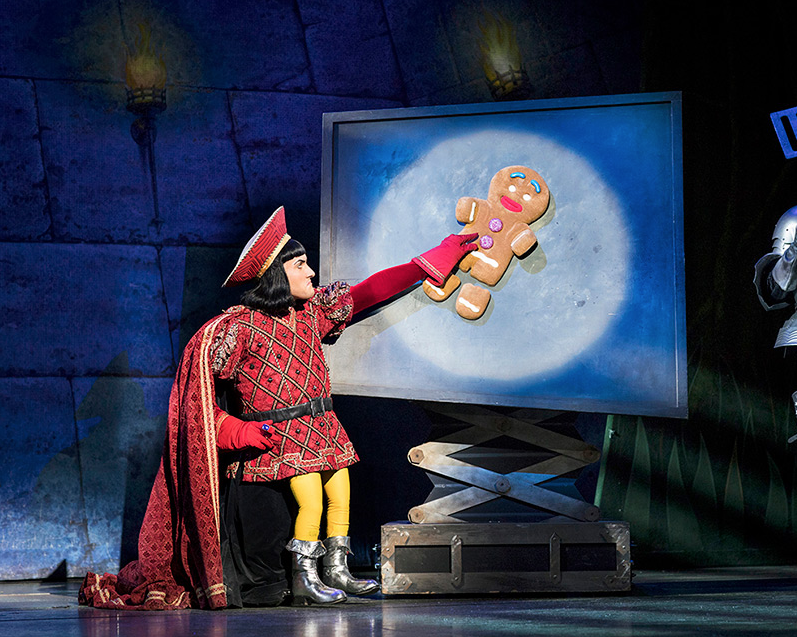 Max is still in awe of Samuel Holmes as Farquaad and whilst he understood that he was on his knees, it still captivated him that he played the role so well! He was the perfect blend of mean and hilarious. The rest of the cast were brilliant. Switching between roles faster than I could have imagined, it was amazing to see how they all lent a hand to everything from puppetry to fairy tale characters. A special shout out to Christina Modestou who played the role of the Dragon. I've seen her in countless other shows recently and she honestly blows me away with her vocal range. Shrek is everything you want it to be and more. It's a laugh a minute, tow tapping musical full of big characters and bigger songs that the whole family will love. Max absolutely loved every second of it and we sung the soundtrack the whole way home! The show is on at the Mayfower until the 8th December and if you're a believer then you should definitely go and see it!